In a forward to the Princes Foundation for the Built Environments annual review Charles has spoken of “immense frustration at the slow pace of change” towards a more “sensitive” approach to the built environment. China was singled out for Royal ire, criticised for repeating the mistakes of the West in a dash for prosperity. Much vernacular architecture has been lost in the cities of the communist state, replaced largely by sterile modern housing blocks. Closer to home Charles echoed the short-term thinking that has brought banks come crashing down to earth by evoking “the plight of the planet” brought about by suburban sprawl. Casting himself as saviour the heir to the throne highlights the work of his charities in promoting “dense, mixed use, walkable development” . 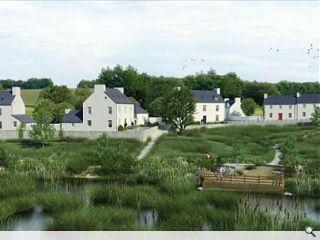 The Prince promises continued promotion of vernacular architecture at home in the year ahead, notably Coed Darcy in Wales from Robert Adam Architects. 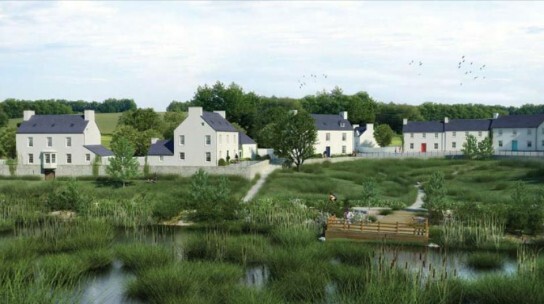 Built on a former oil refinery a small ‘eco-hamlet’ has been designed to demonstrate low energy approaches in advance of a 4,000 home town on the site.